This summer, plan an adventure to St. Louis, MO! This major city in Missouri is known for it’s iconic Arch, which is a must-see that should be on everyones bucket list. Not only is St.Louis great for this national attraction, but it is filled with fantastic restaurants, family fun adventures, beautiful parks, historic museums and tons of entertainment and nightlife. Experience everything that the Gateway City has to offer! Red Roof PLUS+ St. Louis – Forest Park/Hampton Ave is located in the heart of St. Louis, just 1 mile from Forest Park. We’re just minutes from the St. Louis Zoo, St. Louis Science Center, the Muny Opera, Busch Stadium, Missouri Botanical Gardens, Grant’s Farm, St. Louis History Museum, IKEA, restaurants, nightlife, and much more! We’re here to make your stay great. Stay with us. Visit Busch Stadium (5.9 mi away), home of the St. Louis Cardinals and other great year-round events. Enjoy live shows like Billy Joel (9/21/2017). Attending a concert, convention, meeting or trade-show at any of the America’s Center venues? The Guns n Roses: Not In This Lifetime Tour is July 27th! Stay just 7 miles away with Red Roof. NCAA Division I Billiken Athletics. The Saint Louis University Billikens compete on 18 different teams, including basketball, soccer, track & field, and more! Just 4 miles away! The Fabulous Fox Theatre is 4.4 miles away. See Santana (July 12th) and more. Scottrade Center, home of the St Louis Blues Hockey Team, hosts year round events like Lady GaGa (11/16/2017). Just 5 miles away. Explore the Wonders of Water at World Aquarium (6.3 miles away) and meet more than 560* species of animals at The St. Louis Zoo in Forest Park (2 miles away & FREE admission!). St. Louis is Missouri’s Coaster capital, Six Flags offers everything from pulse-pounding roller coasters to gentler options for tots. Just 25 miles away. At Red Roof, your pet stays free! Our inn is right around the corner from two great dog parks. Check out Southwest City Dog Park (1.5 miles) and Frenchtown Dog Park (5.1 miles). Book Now. With a Dual Path system that invites both leisurely walks and intense workouts, quiet places to picnic and read, and a variety of popular festivals and events, a visit to Forest Park is a must. All set in the background of a city oasis, a place to escape it all. Walking distance, 1.1 miles, away from us. At the City Museum, 6 mi away, imagination runs wild! The Science Center, 1.5 mi away, has more than 700 hands-on science exhibits and offers free admission! The Art Museum holds collections from every culture and time period. The History Museum offers exhibitions and events, including performances, concerts, festivals & more. Both 2 miles away! An enclosed tram inside the Arch takes you to the top, where you will experience breathtaking views of St. Louis – up to 30 miles in each direction on a clear day. Along with the surrounding Jefferson National Expansion Memorial, the Gateway Arch opens up a world of history about how St. Louis served as the Gateway to the West for early settlers. A 7 miles drive away. Grab a bite to eat at Bartolino’s (walking distance), Forest Park Cafe (walking distance), Hardees (walking distance), McDonald’s (0.25 miles), Mama Toscano’s Ravioli (0.43 miles), Gian-Tony’s On The Hill (0.48 miles), Cunetto House of Pasta (0.57 miles), Charlies Gitto’s On The Hill (0.64 miles), Riggazza’s (1 mile) and Sweety Pie’s (2.3 miles). Visiting your son or daughter at school? We’re only 3 miles from Washington University & 4.3 miles from St. Louis University! Don’t waste any precious time on the commute–get to campus quick. Find details, dates, times, and agendas for St. Louis University Graduations, or Washington University Graduations. The epicenter of thrilling entertainment. The lights dazzle. The sounds beckon. The tingle of anticipation is everywhere. With more than 1,700 slot machines, 60 table games and a dedicated 13-table poker room, there’s something for every gaming enthusiast at Lumière Place. Only 7 miles away. 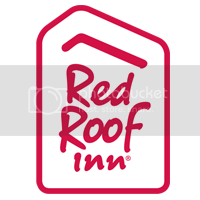 With so many things to do and see, it is best to stay with affordable Red Roof PLUS+ St. Louis. With the money you save by staying with us, you will be able to experience more of the city! Not only are we in a fantastic location, but kids and pets stay free! Our property also offers an enhanced experience with all new rooms and our most requested higher-end amenities. A completely remodeled and upgraded stay.Rooms feature a boutique design with new furniture, bathrooms with modern vessel sinks, comfy Rest Suite beds by Serta, plush bedding, modern flooring and a flat-screen TV. Premium Rooms offer breakfast and a snack ready in your room! Book now. Summer time in Tampa – Time for a family adventure!